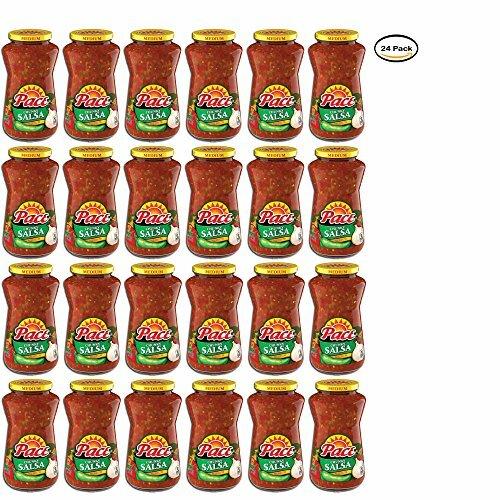 PACK OF 24 - Pace Chunky Salsa Medium, 16 oz. PACK OF 24 - Pace Chunky Salsa Medium, 16 oz. by Pace at Smokey Robinson Foods. Hurry! Limited time offer. Offer valid only while supplies last. Pace Thick & Chunky Salsa Medium will thrill those looking for a kick in the salsa department. Add to any dish or keep it as a simple dipping sauce. Pace Thick & Chunky Salsa Medium will thrill those looking for a kick in the salsa department. Add to any dish or keep it as a simple dipping sauce. Round Here, There's Only One Word For Salsa, Pace! Add on top of any dish!